Whether planning a business luncheon for 50 or a client appreciation for 400, Anita Dee Yacht Charters is happy to help you design an unforgettable Chicago cruise. Anita Dee Yacht Charters offers two private, exclusive Chicago cruises with flexible charter times. From the elegant decor to the exquisite cuisine, not one detail will be overlooked. With this much flexibility and support, your event is sure to be a successful affair. Anita Dee can assist you in planning your next corporate event, whatever the occasion. Both of the Anita Dee vessels are capable of docking at many locations throughout Illinois and Indiana. Some of our more popular docking locations are McCormick Place, River Roast, The Sheraton Hotel and The Horseshoe Casino. 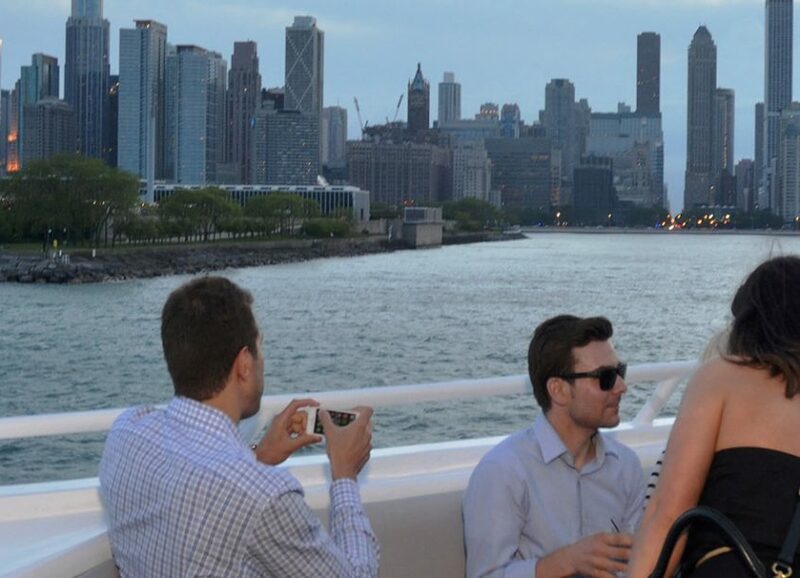 Enchant employees, family and friends this year with an unforgettable holiday cruise on one of Anita Dee Yacht Charters‘ beautiful boats as you enjoy Chicago’s majestic skyline. Our yachts are available to cruise year round! Call us at (312) 379-3191 or click here to book now!